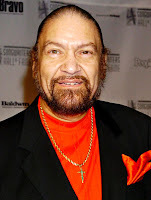 Norman Whitfield, one of the most successful and influential songwriter/producers to emanate from the formidable stable of Motown Records, died Tuesday at the age of 65. Whitfield co-wrote and/ or produced many hits for the label, including "Heard It Through the Grapevine," "I Can't Get Next to You," "Cloud Nine," "Ball of Confusion," "Just My Imagination," "War," the Grammy-winning "Papa Was a Rollin' Stone" and many others. Whitfield had struggled for months with complications from diabetes and had recently emerged from a coma. Norman Whitfield had been commissioned to record the soundtrack album for Car Wash by director Michael Schultz. Although Whitfield did not want to take on the project, he did so because of both the money involved and the chance to give Rose Royce, the disco/funk band who left Motown with Whitfield in 1975, the exposure they needed to break into the mainstream. Unable to come up with a theme song for the film, inspiration finally struck Whitfield while playing a game of basketball, and he wrote his first draft of "Car Wash" on a bag of fried chicken he'd bought. Car Wash's soundtrack, a double album, was Rose Royce's debut LP, and the title track was their debut single. "Car Wash" sold two million copies, and was a number one hit on both the Billboard pop and R&B charts. The Car Wash soundtrack album, entirely recorded by Rose Royce and Whitfield, spawned two more hit singles: "I Wanna Get Next to You" and "I'm Going Down" (later covered in 1994 by Mary J. Blige).